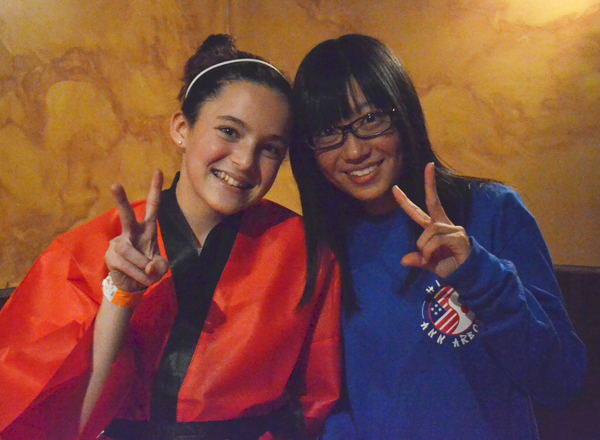 The Ann Arbor Educational Exchange Program provides young teens from Ann Arbor and its sister city of Hikone, Japan the opportunity to engage with a culture halfway across the world. The Ann Arbor school board has approved participation in a countywide International Baccalaureate school and students heading for Japan raise money for their trip. Visitors from Ann Arbor’s sister city, Hikone, are welcomed into area homes and schools for one week. Two Ann Arbor teachers and 12 students represented the area in a delegation to Hikone, Japan this fall. A delegation visited Ann Arbor as well.